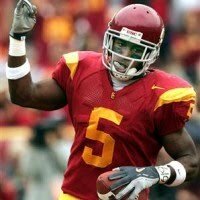 The USC Trojans will begin a new era without 10-year head coach Pete Carroll, 30 scholarships over the next 3 years and a shot at the Pac 10 conference title or a bowl this year as they open the 2010 season at the Hawaii Warriors tonight. Kick-off on ESPN is set for 11:05pm EST and USC has opened at online sportsbooks as a 21-point favorite in college football predictions for week 1 with a total of 51. Lane Kiffin will begin his new stint as the USC head coach. Kiffin was a top assistant for Carroll before striking out on his own at the Oakland Raiders and then last year with the Tennessee Volunteers. Kiffin faces the great coaching challenge of trying to motivate a team that, at the end of the day, has nothing to play for in 2010 college football odds.